Where Can You Find the Best July 4th Freebies and Deals? Any time there is a holiday to celebrate retailers take advantage of people having an extra day off and hold sales, offer special deals and even give away products. As you are probably aware, July 4th is just a couple days away. What kind of July 4th freebies and deals are available this Tuesday? Are There July 4th Sales? July 4th is a huge holiday for many different kinds of sales. Many people are beginning to kick off their summers and retailers like Walmart and Target will hold sales on cookout equipment, outdoor activities, pool, pool equipment, etc. Make sure that the store you’re headed to will be open though. Some retailers, like Costco, close their doors for the Fourth of July. You’ll also likely see sales on traditional cookout food like hamburgers and hot dogs. Items like paper plates and party supplies will be on sale too. Independence Day is another good time to check out grills and patio furniture as well. Oftentimes retailers place these items on sale in hopes of customers coming in on their day off. If you’re in the market for an item like this you may want to check your weekly ad to see the different sales near you. What about July 4th-specific deals? What Banks Are Open July 4th? Is the Stock Market Open on Independence Day? Scoring a deal is a great feeling. There are tons of great deals for this July 4th holiday. Just a few are listed below. 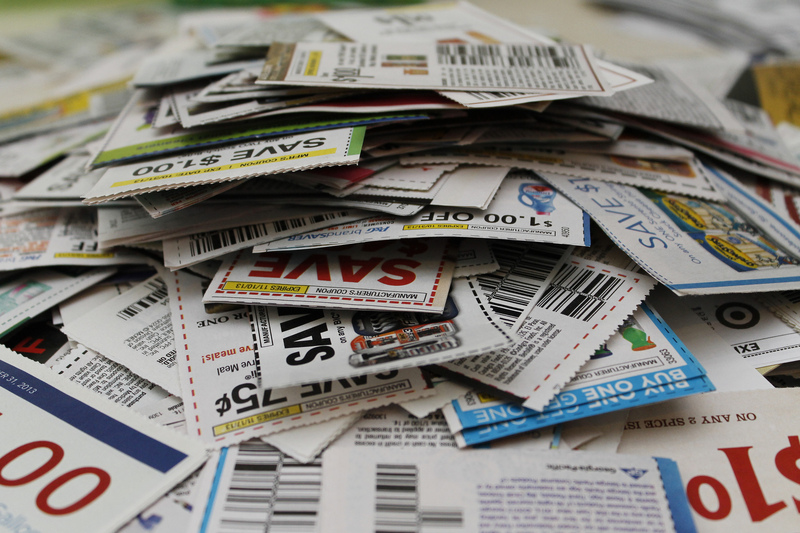 If you have more deals or freebies to add to the list, let us know! Brio Tuscan Grille – Many people have July 4th off. If that’s the case for you and you don’t feel like cooking Brio Tuscan Grille is offering 20% off all to-go orders until July 5. Bruster’s – Get $1 off any item on July 4th. Denny’s – Get $5 off $20 or more at Denny’s through July 4. HoneyBaked Ham – Wanna grab a HoneyBaked Ham for July 4th? You can get $7 off any purchase of $50 or more through July 4. Krispy Kreme – Krispy Kreme has some limited time July 4th donuts available. The red, white and blue treats will only be available as long as supplies last. Marie Callender’s – The famous pie company is offering a Buy 1, Get 1 for $4.99 sale on all of its pies except cheesecake through July 7. SouperSalad – Instead of cooking out you may want to grab a salad this July 4th. SouperSalad locations in Arizona, Arlington, Colorado Springs, Pueblo, San Antonio, Santa Fe and Waco are offering a $7.49 adult buffet for the holiday. JCPenny – Get 50% off any mattress at JCPenny on July 4th. Sam’s Club – Sam’s Club is holding a 4th of July Home of the Save sale. Get savings of up to $1,700 on select furniture and appliance items. These are just a few of the great deals available for this patriotic holiday. What type of July 4th freebies are available? Long John Silver’s – Until July 5 Long John Silver’s is offering a Buy 1, Get 1 Free deal. Ninety Nine Restaurants – Any veteran or active duty military can receive a free appetizer with any meals. 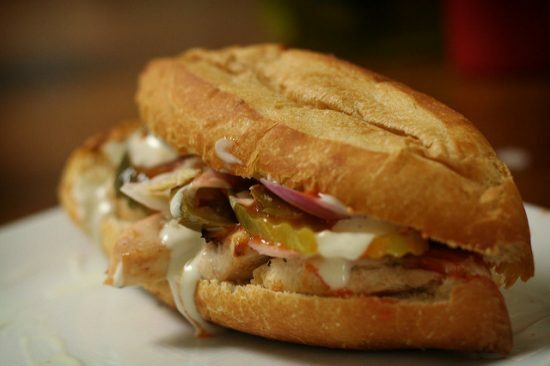 Quiznos – Get free chips and drink with any 8 or 12 inch sub purchase. Offer valid until July 13. Smashburger – Buy 1, get 1 free Land of the Free burger through July 4. Which Wich – Through July 4 any veteran or active duty military that visits Which Wich can receive a free regular sandwich. Proof of military service will be required. No matter what holiday it is saving money is great. If you’ve already been planning on a purchase and can save some cash this holiday you should. If you can score a great deal or even a freebies why not head out this July 4th? Getting things for free is always great. Every so often your favorite restaurants, donut shops or even retail locations give items or food away for free. Usually this is part of a more concentrated effort to get more foot traffic in the restaurant or store. Taco Bell is one of those companies that will give away free product to pull customers in. 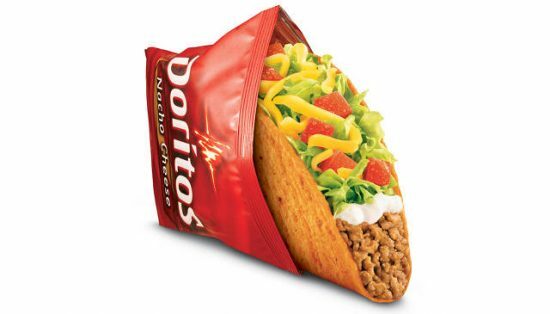 Today only (November 2) you can get free a Taco Bell Doritos Locos taco. Why is There Free Taco Bell Today? Taco Bell is giving away free Doritos Locos tacos today as a part of their “Steal a Base, Steal a Taco” campaign. As you may be aware, the World Series is taking place and millions of people are tuning in to watch America’s favorite pastime. In Game 1 Indians shortstop Francisco Lindor came through and stole a base. It is being referred to as the “stolen base heard ’round the world.” The Taco Bell website says that the company believes one great steal deserves another (how clever!). When Can You Get Free Taco Bell Today? From 2 p.m. until 6 p.m. (your local time) you can get one free Doritos Locos taco at any participating Taco Bell location. There is no purchase necessary, however, each person is limited to one taco. Taco Bell is a franchise so each Taco Bell location is privately-owned. Not all locations will be participating in the giveaway today. So, if you are curious as to whether your local Taco Bell will be giving away free tacos you may want to give them a call before heading over. What Other Days Can You Get Free Taco Bell? Today’s giveaway is to celebrate a new American hero, according to the Taco Bell site. However, you can get free Taco Bell more than just one day a year. In fact, the restaurant offers great deals and freebies throughout the entire year. Every day between 2 p.m. and 5 p.m. Taco Bell hosts a “Happier Hour.” Although you cannot score free Taco Bell every day during this time you can get great discounts. You can get loaded grillers, medium drinks and freezes all for $1! You can also save money at Taco Bell by signing up for a Taco Bell account. By signing up, you will get email offers and freebies periodically. You can sign up here. Download the Taco Bell app and save money. By using the Taco Bell app you can get exclusive offers, free Taco Bell and (in some locations) you can order ahead of time and even get Taco Bell delivered! Taco Bell is offering its customers a freebie today in honor of a new American hero: Francisco Lindor. Although this deal was a last-minute decision on the company’s part, you can keep a lookout for more Taco Bell freebies and deals in the future. Normally Taco Bell will plan these events out ahead of time and you will have plenty of time to plan a trip to the nearest Taco Bell location. Will you take advantage of today’s deal? Whether you like your donut cream-filled or powdered, there is one day a year you must have one of America’s favorite pastries. The first Friday in June, is a day to celebrate the donut. Krispy Kreme: Krispy Kreme is giving away a free donut (any variety). You cannot get your free donut at the drive thru though. You will have to walk into the store. Dunkin Donuts: Dunkin Donuts is requiring a purchase of a beverage to get a free donut. Who wouldn’t want a hot cup of coffee from DD with their donut? Fractured Prune: Select Fractured Prune locations will be offering free donuts with the purchase of a drink as well. Duck Donuts: Duck Donuts, located on the East Coast, is offering a free sugar donut for National Donut Day. You will have to go to Duck Donuts Facebook page and claim the offer to receive a coupon to your email address. Then you show the coupon to the store and can claim your free pastry. Randy’s Donuts: Randy’s Donuts, located in California, will be offering free donuts from 6 a.m. until 12 p.m. Patrons will also be entered in a raffle today. Voodoo Doughnut: Voodoo Doughnut created some pretty awesome donuts. Some of them are topped with Cap’n Crunch cereal, others are topped with Bacon. However, the company will not be offering any freebies for National Donut Day. That doesn’t mean it isn’t a great place to stop to celebrate the day. Entenmann’s: Usually you will only find these donuts in grocery stores. While many stores won’t be giving them away, the company is holding a sweepstakes in which 10 winners will receive free donuts for a year. The company will also be giving out free donuts in select cities throughout the United States. Glaze Donuts: Glaze Donuts in New Jersey is offering one free glazed donut for each customer. The company has also joined with Uber for the day to have donuts delivered to your doorstep for $20. Proceeds of the Uber-Glaze partnership for the day will go to the Community Foodbank of New Jersey. Shipley Do-Nuts: Located in the South and Midwest, patrons of Shipley Do-Nuts will be able to get a free glazed donut from 5 a.m. until 12 p.m. Shipley Do-Nuts will donate a portion of the sales to the Salvation Army. Giant Eagle, Inc: If you purchase a 1/2 dozen donuts from the bakery at Giant Eagle, you will receive a 1/2 dozen for free. Doughnut Plant NYC: Doughnut Plant NYC will be giving out free Carnival Sprinkle Mini Cake Doughnuts. They will only be available while supplies last. Lamar’s Donuts: Print a “golden ticket” and get a free glazed donut from Lamar’s. Like Shipley Do-Nuts, Lamar’s will also be raising money for the Salvation Army. Donations are being accepted at all locations. Keurig.com: Through Tuesday, Keurig.com is offeirng $2 off all of its Original Donut Shop coffee items. Enter “DONUTDAY” at checkout and receive the $2 off. 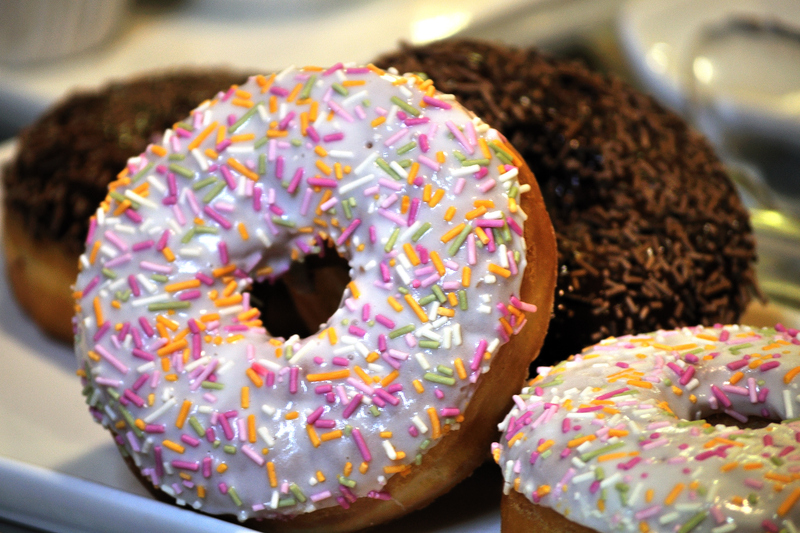 Do you have plans to celebrate Donut Day and capitalizing on freebies? Let us know in the comments.